So simple. So Tasty. So Boringly good. Almonds, water and a sprinkle of pink salt - you can't get more boring than that. No fancy ingredients that we can't pronounce or complicated industrial processes. 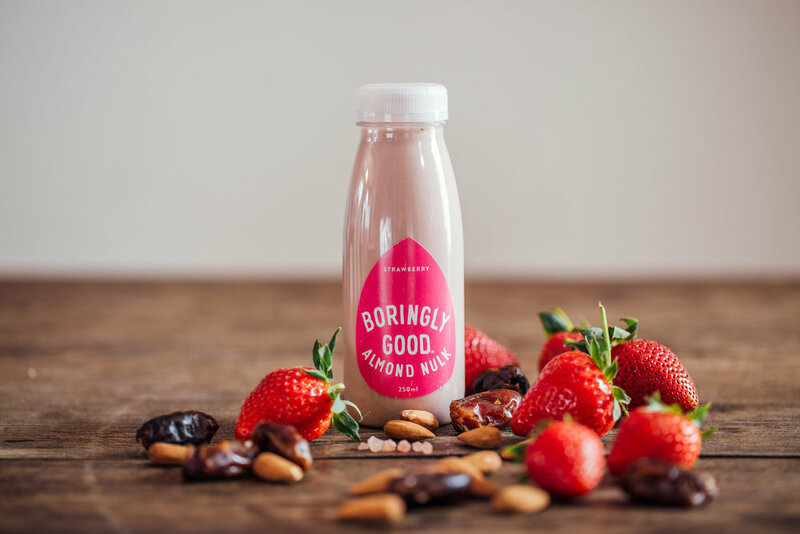 It's Almond Milk made the way it should be - pure and simple. And because it's so simple it tastes just like Almond Milk should taste. And our flavours are simple too - just a bit of dates (no refined sugars here! ), real fruit and whole food, plant-based ingredients like Matcha Green Tea. No need to add anything else when real, whole food tastes so good. You know when something is just so good, it's boring? Well we bottled it. 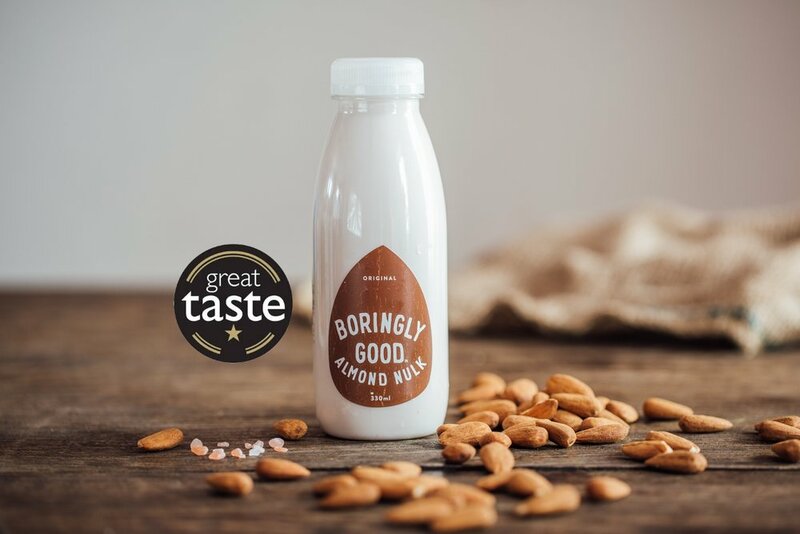 We love the gentle almond flavour and the almonds have a sweetness and no bitterness. 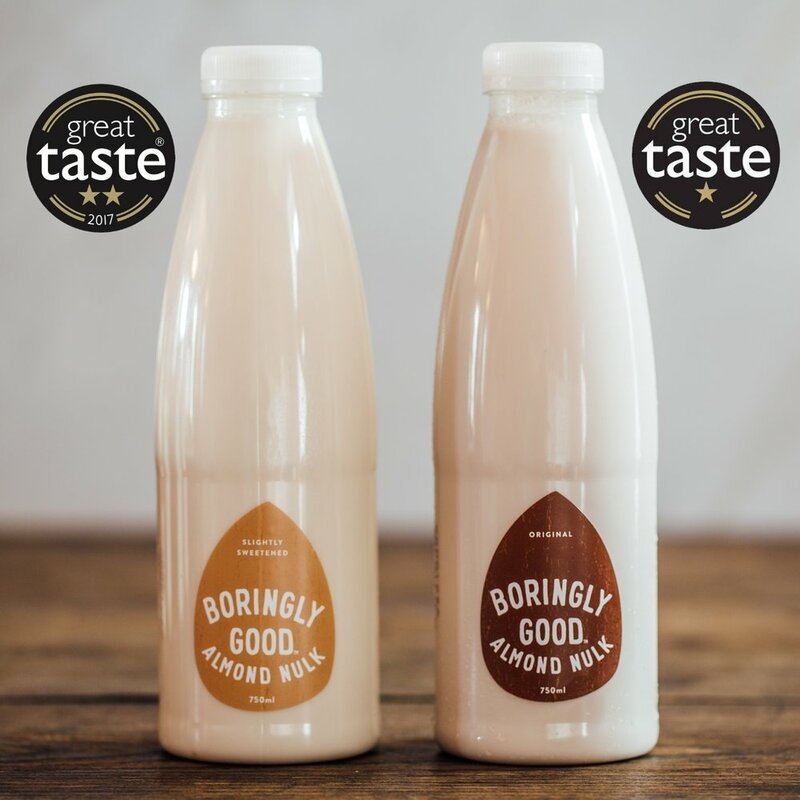 This milk has a really clean finish and we could see many uses for it.